Since becoming the mother to a little girl, I’ve become much more aware of what types of children’s books are on the market. I quickly began seeing a pattern where little girls and women are princesses, fairies, or other magical beings. 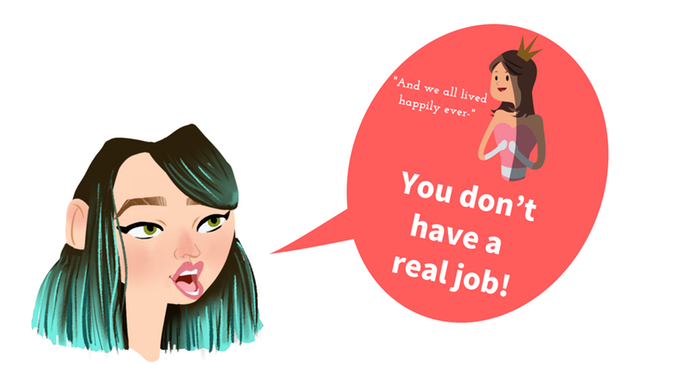 They don’t have real jobs! I saw this as an opportunity to showcase my career and passion to a younger audience. Project She was born from the idea that children should be empowered and inspired by the stories they read. My ultimate goal is to share the careers of a number of women. She is a Photographer is the first book of a hopefully long and inspirational children's series titled Project She. It's a non-fiction picture book about the ins and outs of my job as a professional photographer. You can think of it as a whimsical guidebook to what it takes to work in the business, as well as a few ways you can market your skill. It also describes positive qualities of a photographer, which can be applied to everyday life. She is a Photographer reached its funding goal on Kickstarter in six days. We even recorded an audiobook! Book two is currently in the works. We are trilled to announce a partnership with NYC SALT, an organization devoted to educating and empowering teens with aspirations in the creative industry. A portion of our profits will go towards their programs and equipment.